La mini 4k hdr est LA passerelle pour exploiter les capacités de votre tv 4k. Elle sublime l image, le son et reste un module economique pour passer le HDR sur votre tv. Best Player I had so far! I had Serval players so far but Zappiti is the by far the best! Easy to set up, outstanding to edit the info’s and pictures of movie gallery! Pour moi la meilleur passerelle multimédia du moment,ont peut tout faire avec et les images en vidéos superbe. J'ai la chance de posséder le ZAPPITI MINI 4K HDR depuis maintenant 6 mois. J'avoue qu'il est tout simplement au top coté vidéos. Un petit effort pour la gestion de la bibliothèque audio et il sera définitivement hors concours avec les autres de la même gamme. The best media player I ever had. I have had many media players, but this one is by far the best. Smooth and fast, very reliable. Really like the 1 min, 10 sec skip feature and the 10, 20 – 90% jump function. I only wish the subtitle features were as good. You can raise the subs from default position, BUT you cannot lower them. It very much need this ability for negative off set for the subs. And support for italic subs in srt file format would be appreciated. But aside from this it is an awesome player! I would very much recommend it! This will play almost everything smoothly. HEVC MKV files in 3D with correctly displayed subtitles I especially nice. A quality item with great performance. The only thing missing are a few subtitle related features, such as italic support in srt files, and the ability to lower the position of the subtitles on screen. But all in all, a superb play! This device works perfectly and plays a lot of different formats in high resolution supportling the latest greatest audio Dolby Atmos which brings you right into the movie. 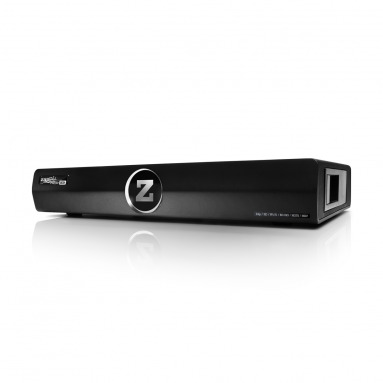 All relevant input/outputs are available to fully integrate the Zappity into your home cinema setup. Easy interface and setup. Easy access to my movies stored in my network/NAS. Highly recommend this device if you’re looking for a total solution and flexibility of adding apps as well. Amazed by how superior it actually is! I've been looking to upgrade my WDTV for some time, but when checking the obvious competitors the WDTV still seemed - for me - to give the best user experience and also a pretty pleasing library function without either padding things out with Junk apps, or padding-out the price!. Then I heard of something called Zappiti, and having been able to play with someone else's Mini 4K HDR I was immediately impressed by the physical quality in manufacture, by the performance which is genuinely impressive, by the ease of use, the auto-setup, which was a total dream ... and more! And don't worry about small-tech always being the most frustrating to work through the setup options etc, in this case it almost does the whole thing for you and I was up and running in probably 60 seconds. I have thrown a range of filetypes at it and it has just launched every one no problem, which can't be said for the WDTV. So it is a bonus that I won't have to keep having to convert/rebuild them! I was also after further info before deciding property, and Oliver was always right back with me with interesting replies and just what I was after. So if you are wondering whether to maybe go ahead, just stop wondering and go ahead! You'll be entirely glad you did the first time you use it! Super produit et logiciel zappitit video très simple et pratique. Zappiti players are of a high quality and work very well. I really like the movie wall design and the ability to update my collection using the Zappiti Media Center software on my laptop. Customer support team are very helpful. Je viens de changer pour un Zappiti 4K hdr (venant d une marque concurrente) principalement pour la 4K et le HDR et je ne suis pas déçu ! Tous les formats vidéo sont compatible, récupération des données des films impeccables, très fluide. Bref je ne regrette pas ! Foncez ! The best media player i have tried and I have tried a lot. Play 4k UHD flawlees with superb picture quality. A great player with great functions in a nice small design!! I work with an external HDD (5tb) and it's very easy anf fast. De movie indentification and the movie wall works fine. Zappiti also have a great support team and good updates. Enfin un lecteur qui répond à mes attentes, rapide, silencieux, efficace… Il reconnait presque tous les formats de video, les ISO avec les menus, bref du sérieux. L'interface est géniale, avec reconnaissance automatique et performante des fichiers, jaquette, résumer, formats auto et ça marche ! Very happy with the GUI, user friendly and good HDR-SDR conversion and 4k upscaling. Recommended! Je voulais m’équiper d'un très bon lecteur multimédia pour profiter au max de mon home cinéma et de mon téléviseur oled et au final j'ai trouvé le MEILLEUR lecteur multimédia. Il lit absolument tous mes fichiers et même les iso ou les mt2s et également tous les sous titres sans faire de bidouillage. Les menus sont très bien pensés. Seul petit bémol, je trouve que la navigation n'est pas très fluide. Je suis extrêmement satisfait de mes 2 boitiers Zappiti (un Mini 4K HDR et un Player 4K Mini). Lecture fluide de ma Collection stockée sur mon NAS localement, fonctionnalités très complètes, rien à redire c'est le top des lecteurs et de conception française en plus! I have finally got a machine i am happy with, having tried a Nvidia shield and a Egreat they only covered 80% of what i needed in a player. This Zappiti 4K HDR Mini covers 95% of my needs which is probably the best im gonna get usless i make my own machine. This player is fantastic and plays everything i have thrown at it, The wall posters are great and the little Gem of the sound track playing on the movie poster is awesome. If you on the fence go out and buy one. I've had other players and even HTPC's... By far, Zappiti is just everything that I needed in a small tiny box. 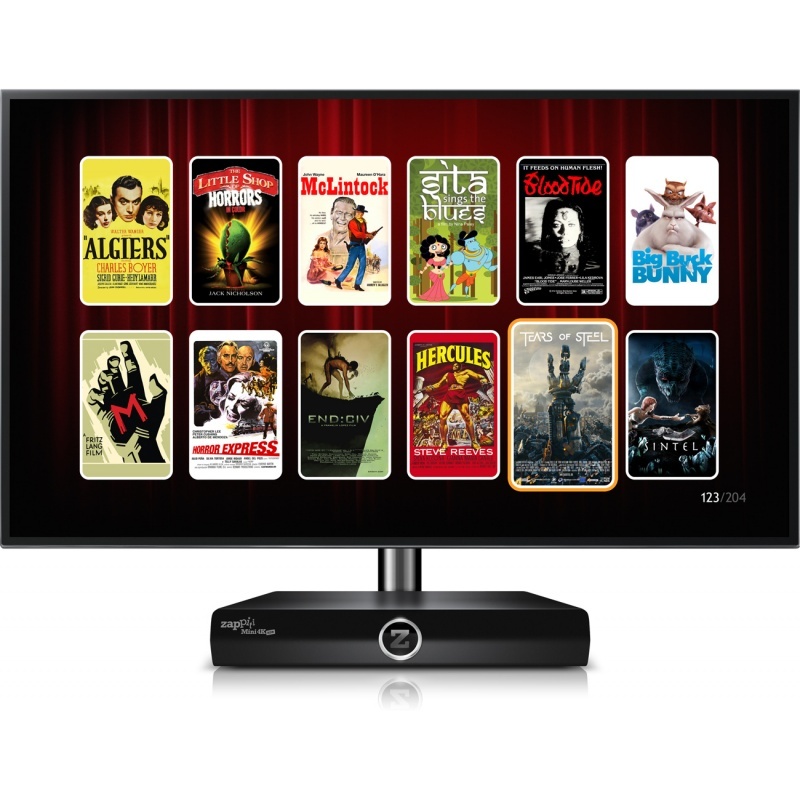 Perfect for all the home cinema lovers! Possesseur d'un homecinema focal sib et d'un vidéo-projecteur BenQ w1070 je recherchai un lecteur multimédia capable de lire la totalité de mes fichiers sans perte ou dégradation audio. Je redecouvre ma pièce grace à ce lecteur le son et l'image sont superbes, l'interface est très agréable. Je suis également passé en boutique pour une démonstration, j'ai très bien été renseigné sur l'ensemble des mes questions. Bravo pour votre matériel de grande qualité ! Simple d'utilisation : accès en samba vers mon NAS détecté automatiquement. Le scrapper (identification des fichiers) fonctionne super bien. Quasiment aucune erreur sur une base de films "peu connus" (cinéma asiatique non sorti en France) et dont les titres n'avaient pas été modifiés. La qualité d'image est très bonne aussi. Je la trouve du même niveau que mon oppo 203. Et pour finir aucun problème pour décoder tous les formats de son et de sous-titre. Merci l'équipe de développeur Zappiti. Continuez comme ça ! voila après quelques jours d'utilisation de zappiti mini 4k hdr, je peux dire qu'il fait juste comme lecteur multimédia. 1-impossible de faire une mise a jour de YouTube 1.3.11 a la nouvelle version 2.04.05 via Google play ou aptoide et si tu l'installes via une clé USB, YouTube ne fonctionnera pas correctement. alors je me retrouve avec une très ancienne version de YouTube. l'affichage du menu de netflix est loin d’être parfaite. Heureusement j'ai garde mon Nvidia shield tv que je vais l'utiliser pour regarder youtube et netflix. 2-meme si tu désactives (grouper automatiquement les nouveaux films issus d'une saga) ils restent regroupes. 3-de temps en temps j'ai du mal avec la télécommande. Ayant acheté le mini 4k HDR pour tester. Il remplace mon ancien htpc. Simple, intuitif, épuré avec une super optimisation d'image. très satisfait de mon achat et en plus c`est français. I read a lot on forums etc about players and htpcs for home Cinema and there is always pros and cons with with all players but summed up I felt this player was the best and that's why I bought it and I don't regret it. It plays anything you through at it and provides a great user experience. There is some nerdy small details to be fixed before it's perfect but that's the best thing about this player, it gets firmware updates now and then making the player better and better. And support have also been very quick and helpful. I love how easy this thing is to use. It has downloaded all of the meta data with no problems whatsoever; I did not need to change any settings on my NAS either in order to stream my content. It just works! Bester Player den ich je hatte, spielt alles ohne Probleme. Besonders gelungen finde ich das Mediencenter mit Gruppenfunktion für Filme sowie die Kindersicherung. Den Zappiti Server habe ich auf meinem Synology NAS laufen. Qualität das Zappiti Mini 4K HDR finde ich top und werde diesen auch weiterempfehlen. Récent propriétaire d'un mini4k hdr couplé avec un samsuns q9 65 de 2018, je suis pour le moment satisfait de mon achat. A voir dans le temps avec des test plus poussés. Bien sûr, on peut lui trouver des défauts mais ils sont minimes par rapport aux fonctions offertes. Une réussite. Great mediaplayer, easy to set up and use, great video quality!! Rien à redire, ça lit tout, c est beau, c est le meilleur lecteur multimédia. Achetez là vous ne regretterez pas. J'ai testé plusieurs lecteur,Kodi, Wdtv,etc..
brancher sur mon Panasonic Oled 4K 65 pouces, je vous dit pas la claque visuelle que j'ai pris. The media player was a recommendation from my local home theatre specialist and I am impressed how good and easy it works. When starting it up it has recognized nearly all of my films in the first run. It is very easy to use and the playback quality of film and sound is great. So the new Zappity is my new media center of my home cinema. As there are many options which can be adjusted in the SETUP menus, I would like to see a detailed manual as pdf download, which I have not found so far. But as everything works fine without changing the setup this is ok for me. Handles everything with ease and it's fully customizable!Couldn't ask for anything more. Dans l'utilisation de l'interface, nombreuses lenteurs, bugs d'affichage, difficulté à évoluer dans les menus pour arriver jusqu'au fichier choisis. Plantage du système refusant de lire des fichiers pourtant lus quelques minutes avant...En revanche, sur la partie lecture video pure (lorsqu'on a réussi à atteindre son fichier!) rien à redire. Même sur des gros fichier la lecture est fluide et fonctionnelle. A ne pas mettre entre le main de personnes désireuses d'une solution simple, pratique et efficace mais plutôt de geeks (comme moi) à l'aise avec les produits en bêta! En remplacement de mon Popcorn VTEN vieillissant, je trouve l’image et le son du Zappiti Mini 4K HDR vraiment excellents. De plus, le produit petit format est très bien fini et facile d’utilisation. La plus PARFAITE des passerelles multimédia ! Après des jours et des jours de recherche sur une passerelle multimédia pour lire mes films UHD HDR, j'arrive sur le site de Zappiti et tombe émerveillé sur le Mini 4K HDR, pile le lecteur multimédia qui me fallait. La gestion des fichiers jusqu'à 400 Mbps, c'est juste de la folie. Tout passe parfaitement : cerise sur le gâteau, je peux même profiter de mes films avec mon casque Bluetooth quand la famille dort ; que demander de plus ? Parfait, les formats video ou audio sont tous reconnus, la qualité d'image est top, fluidité des films parfaites... Le seul bémol est l'interface pas super fluide mais bon c'est largement acceptable. Rien a dire c'est la meilleur solution que j'ai testé jusqu'a aujourd'hui sans mettre un budget trop important. Tres satisfait de mon achat. Je suis au ange suite à cet achat, le produit est juste parfait. J'ai attendu ce genre de lecteur multimédia pendant 10 ans. Enfin un appareil pensé par des utilisateurs pour des utilisateurs et ça change VRAIMENT tout. Vous pouvez l'acheter les yeux fermés, il répondra à toutes vos attentes. Et c'est sans compter sur toutes les fonctions auxquelles vous n'aviez pas pensez. Le prix est raisonnable au vue de la qualité global de l'appareil. Le service technique est très compétant et basé en France. Envoi rapide. Si vous cherchez un media player, le voici. Il lit vraiment tout jusqu'au h.265, même les vieux codecs, aucun sous-titres ne lui résiste et il permet surtout d'avoir les pistes audio numériques, chose rare actuellement. L'utilisation est très simple . Ce qui permet à toute la famille de l'utiliser. Le support zappiti est excellent. La télécommande est parfaite au niveau des touches proposées, mais l'appui sur ces touches est très dur. Le prix est est un peut haut mais justifié par rapport à l'expérience et le support. Je cherchais une solution d'archivage, de lecture et d'utilisation simple et surtout rien de trop ''informatique''. On m'a conseillé Zappiti. Possesseur du mini 4k HDR et du NAS Rip je ne suis pas déçu. L'archivage est efficace, l'ergonomie simple et la qualité de lecture impeccable. Toute la famille l'a adopté. Le SAV Zappiti pour l'aide à l'installation du NAS a été sérieux, réactif et clair. I've been using zappiti player for two months and I am perfectly happy with it.It can play the 4k MKVs without any problem, and it passthrough DTS-X and Dolby Atmos to my AV Receiver. Media Center is looking great and I also get to design and upload my own cover artwork as well! I couldn't ask for a better media player. Great player with great functions. I own a very big collection of movies. With ZAPPITI it's much easier to sort and play them. Great player ZAPPITI Team! They also have a great support team. My support question was answered at 1 a clock midnight! :-) Thank you so much! I bought it two weeks ago. The quality of the image, the many configurations I can set, the way the media is displayed, made this media player as my favorite!!! un lecteur parfait sur tout les points pour lire tous mes fichiers videos ( xvid, 1080p, 4K HDR ). 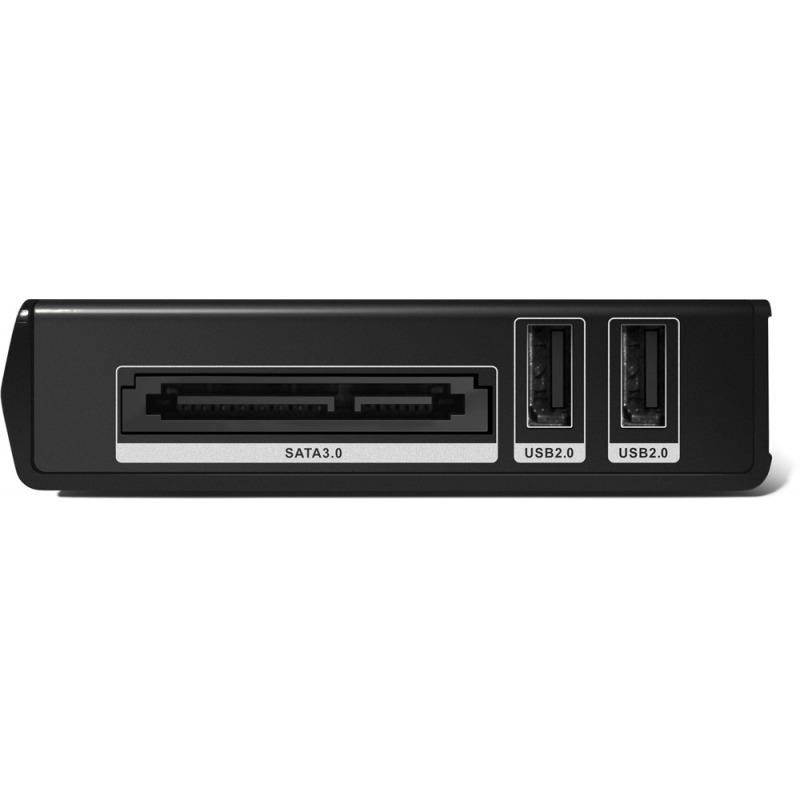 We were looking for a mediaplayer that could handle all our Files from our NAS for a long time. Finally we found this product. It is the ONLY device that we tried, that play all our files and processes all video formats AND all sound formats without any issues. Un appareil simple, compact et ultra performant. Après avoir recherché un appareil simple d'utilisation pour lire les films en H265, j'ai découvert le modèle MINI 4K HDR, dont je n'ai non seulement pas été déçu, mais qui m'a offert des options de classement des films que je n'espérais pas. L'indexation des films importés est absolument étonnante, car la plupart des films sont reconnus, même lorsque ces derniers sont parfois mal nommés sur le fichier d'origine. Une vraie belle machine, performante, et compacte. Quant à la lecture des H265, c'est absolument parfait, aucun ralentissement, aucune saccade, un vrai bijou. Un vrai savoir faire "à la française". Le meilleur à ce jour! en ligne et mAyant reçu mon lecteur mini 4k hdr il y a 48h, j'ai rencontré un problème au niveau de l'enregistrement de l'appareil. Un simple coup de téléphone à l'assistance on problème était réglé en 30 minutes. Concernant, l'appareil j'en suis plus que satisfait, l'image est sublime et le 4k passe formidablement bien sur l'écran. Je sais que le suivi des appareils est très minutieux et que les développeurs sont à l'écoute des clients donc je pense avoir fait un excellent investissement. Je ne peux que conseiller cette marque -française qui plus est- et récompensé à plusieurs reprises par les sites spécialisés. J'ai changé de TV pour passer sur une OLED 4K HDR et j'en suis ravi mais j'étais frustré de ne pas pouvoir lire tous mes fichier 4K simplement : audio non reconnu, format d'image mal décodé. Le Zappiti m'a permis de régler tout ça très facilement, je l'utilise avec un disque dur Externe de 8 TO et tout est parfait, pas de ralentissement. Mais surtout la qualité d'image est vraiment incroyable !!!! Super Player 4k HDR pour débutants. Simple d'utilisation et facile à configurer malgré une personnalisation moins poussée que Kodi. L'équipe de développement semble être à l'écoute et les mises à jours peaufinent l'expérience utilisateur au fur et à mesure. Excellent lecteur, qui avale tous les fichiers multimédia qu'on lui demande de lire. Fluidité excellente et qualité d'image nettement supérieure venant d'une nvidia shield TV. Mini...mais costaud ! Excellent lecteur multimédia. Je n'ai pu tester que la lecture des vidéos pour le moment. Le lecteur reconnait tous les fichiers vidéos que je possède sur mon Nas. La présentation visuelle avec les vignettes, les images de fonds de mes films et séries, tout est d'une qualité époustouflante ! Je conseil vivement ce lecteur Zappiti. After seeing my fathers unit first hand, I had to get one. The build quality is great and the picture is outstanding. I am still discovering all the features this thing is capable of. I finally needed to replace my aging WDTV media player so I could start enjoying my UHD 4K material. I did a lot of research and decided the ZAPPITI MINI was the best for my needs. I must say this was an excellent decision. It plays all my movie content from my NAS beautifully. The user interface is easy and clean and responds smoothly. I especially love how the ZAPPITI gets all my movie blu-ray covers/pictures for me automatically. That's a huge step up from my days with WDTV. It's ability to assign the genre of movie automatically is just awesome. The picture quality is exceptional, and the unit never hangs which my WDTV would do all the time. 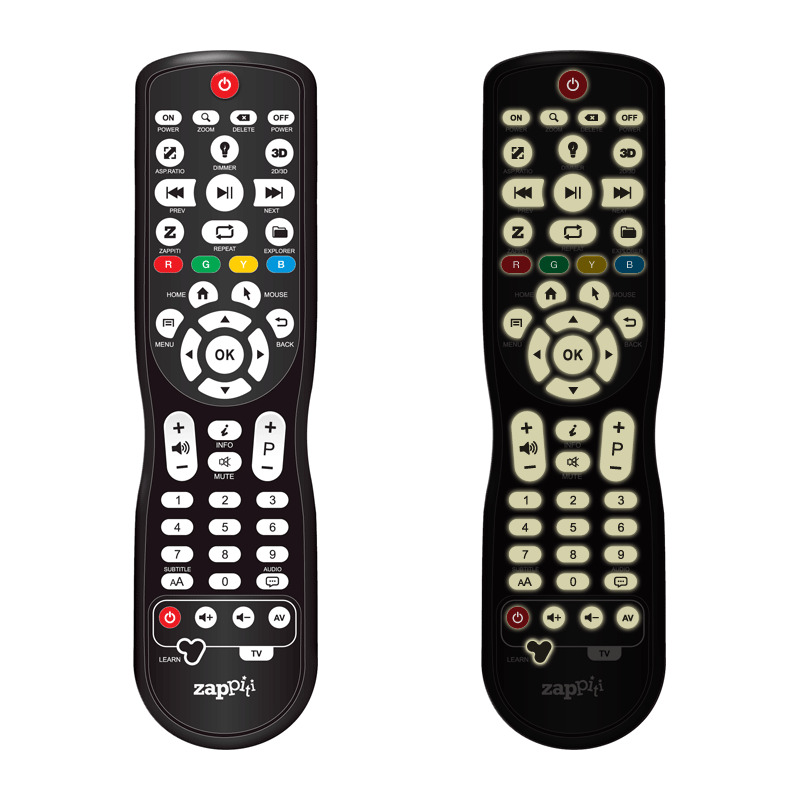 I highly recommend the ZAPPITI MINI for anybody that wants an easy and enjoyable experience for their home entertainment needs. A week ago i bought the mini 4k hdr, for replacement. In just little minutes and installed the beta 3.10 version i could not believe it. The picture and sound is incredible and all my UHD movies he played. Also no problems with dvd en bluray files. The HDR from the player on my Oled is fantastic. I recommend this player, it is the best i have. A la recherche depuis quelque temps d'un lecteur capable de lire l'ensemble de mes vidéos et ce qu’elle qu’en soit le format, je suis enfin tombé sur la perle rare. Ce lecteur est très performant et vraiment très simple d’utilisation. Juste quelque problème lors de la mise en route avec le partage de fichier sur Windows 10, mais cela se règle très facilement grâce au Faq sur le support du site. Ce lecteur est tout simplement le meilleur que j'ai pu tester. Il est techniquement très abouti et répondra aux attentes des plus exigeants. L'interface Zappiti offre une facilité d'accès incomparable à sa bibliothèque multimédia . Les mises à jour sont fréquentes et on trouve facilement les réponses à nos questions , soit sur la base de connaissance internet, soit en boutique . POLYVALENT ET EFFICACE !!! I just received my Zappiti mini 4k HDR. The setup was very easy and the media center identified almost all of my movies and series (more than 800 files) correctly. The files, which were not identified correctly, had wrong file names. The player just plays everything and the picture quality is amazing! I had a PopcornHour A-400 with NMJ, but the Zappiti Media Center is far better. Full reccomendation from my side! En remplacement de mon vieil AcRyan qui n'arrivait plus à suivre sur les vidéos. Relié aujourd'hui à un Synology, les images sont superbes, le son aussi ! 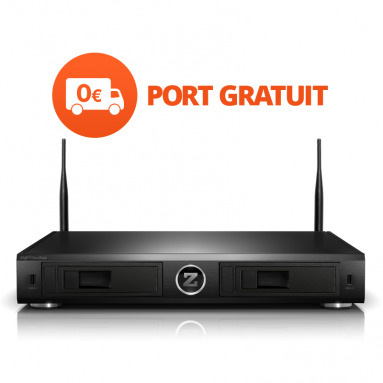 J'étais très attaché à ma Dune HD 301 ( acheter également chez HD Land ) , et puis je me suis dit qu'il fallait évoluer un peu , j'ai donc pris la Zappiti mini , et j'ai bien fait , une image vraiment sublime , une grande dynamique dans le rendu vidéo , les menus sont simples et efficace , et la cerise sur le gâteau , les MaJ qui apportent leurs lots de nouveautés pour améliorer le produit . L'équipe d'HD Land répond toujours en cas de pépin , vive les produits français . Für mich funktioniert es einwandfrei. In Kombination mit Samsung Q7F 55" Fernseher und Samsung K950 Soundbar läuft es wunderbar. Der Player kann alles abspielen, auch mkv Datein mit Dolby Atmos. Il y a plusieurs années j’ai fait l’acquisition d’un premier lecteur multimédia (un Tixier de chez dvico), je n’ai eu de cesse ensuite que d’acquérir de nouveaux modèles. Le dernier était un modèle de chez Mede8er qui vient de me lâcher. Tous avaient leurs qualités mais tous avaient la même faiblesse : la gestion des jaquettes. Sur ce point ce fut un vrai plaisir que de découvrir à quel point le système est performant et efficace. Pour cela, et pour le reste, ce produit mèrite ces 5 étoiles. Been using zappiti media centre on a Dune player for a few years, but decided to upgrade to a full zappiti player recently. This thing is awesome, it's a huge step up from the Dune. I haven't found a file it can't play yet, the picture quality is brilliant, and the zappiti media center has moved on leaps and bounds from the version 2.9 I was using before. So good I bought another for my projector. Auparavant utilisateur de Zappiti sur une platine Dune, et voulant faire évoluer mon équipement au passage sur une Tv 4k Panasonic, j'ai choisi ce lecteur pour ses specifications techniques (4K HDR) et surtout sa simplicité d'utilisation, toute la famille est ravie. Super lecteur multimédia. Il lit rapidement tous les formats et convertit le HDR en SDR. Rien à dire. C'est top. Acheté en remplacement de mon 4K mini, il est beaucoup plus performant et la télécommande rétroéclairée est bien plus pratique avec de nombreux raccourcis. En plus, c'est un produit français avec assistance gratuite par tel non surtaxé par une équipe compétente, ce qui mérite d'être souligné !. Excellente passerelle multimédia. Fluide et facile d'utilisation. Je l'utilise avec un NAS et un projecteur sony. L'image est magnifique ! It's my third Zappiti device, and I'm very satisfied with the quality of it. The updates are always on point. You can feel that people who work on them actually care and pay attention to bringing the best quality for their customers. It really shows the passion, that the company has, to the product, and how they create good service. J'ai eu beaucoup de passerelles multimedia depuis de nombreuses années ( ATV, Shield ...) et ai même tenté differents types d'HTPC montés par mes soins ... je n'ai jamais eu une aussi bonne sensation de départ qu'avec ce Mini 4K HDR. Prise en main et configuration aisées, Qualité du rendu vidéo, Qualité de la restitution audio ( branché sur mon ampli marantz ) ... bref rien à dire pour le moment. Bravo aux concepteurs. RB. Super boitier reçu en remplacement de mon Popcorn qui commençait à se faire vieux. Image impeccable après quelques petits réglages propre à mon téléviseur OLED. Interface très fluide et système de jaquette sur le cloud très efficace. En remplacement de mon vieux boitier Popcorn, je découvre le monde Zappiti avec joie ! Interface fluide (Android) et qualité d'image incroyable. Je redécouvre ma videothèque ! Happy with my Zappiti HDR. Works well for UHD bluray rips, connected to my Sony VPL-VW760 beamer!! Happy with my Zappiti, works well with 4k hdr movies. Acheté en ligne et retiré en magasin cette machine est top. Après un Meder8er, une Dune solo 4K, voilà enfin un lecteur, en plus Français et qui fonctionne du tonnerre. Merci à l’équipe pour sa gentillesse ! 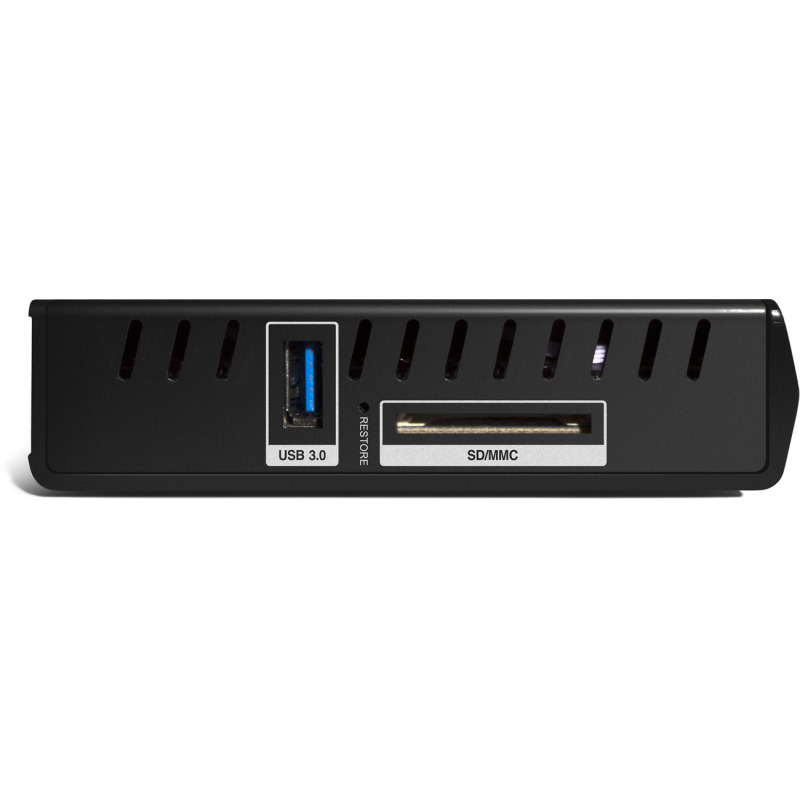 J'ai acheté ce Zappiti mini auquel j'ai associé un nas synology.Le lecteur fait un boulot terrible rapidité efficacité ainsi qu'une quaité d'image impeccable.Je recommande cet appareil a tout le monde. Il me parait temps de faire le point de mon installation home vidéo après un peu plus de 6 mois de fonctionnement. Le lecteur est un Zappiti mini 4K HDR, la vidéothèque est stockée sur un NAS Synology et la télé est une LG 55 4K. Je dois tout de suite dire que je suis très satisfait de l'ensemble. Le lecteur zappiti a été très simple à installer avec un raccordement réseau ethernet filaire (j'ai aussi testé une liaison wifi avec d'excellents résultats). Le paramétrage nécessite un peu d'attention pour atteindre une qualité optimum. A noter toutefois que les réglages par défaut sont bons. La qualité de l'image est parfaite en rendue et en fluidité, le tout en 4K. Le scaler est très largement équivalent à celui des meilleures télé 4k. Enfin j'ai installé sur le NAS le serveur Zappiti pour Synology plutôt que d'utiliser la version cloud par défaut. Le résultat est parfait, et, en tout cas, le service est plus stable. Reste 3 souhaits d'amélioration du médiacenter : la lecture intégrale des menus des DVD et BR, et la possibilité de créer ses propres bibliothèques à côté des biblios standards "films" et "séries". Zappiti a indiqué sur son site prendre ces demandes en considération pour une mise à jour future. J'apprécierai aussi beaucoup que l'explorer du Zappiti permette la navigation ftp sur le WAN afin de bénéficier du streaming. A noter toutefois qu'il est possible d'installer, dans les applications ANDROÏD, le lecteur média d'Archos qui permet une excellente navigation ftp (une fois maîtrisé le paramétrage ...) et l'utilisation du logiciel vidéo du lecteur zappiti bien meilleurs que celui de l'archos (problèmes de codec). En résumé le lecteur zappiti 4K me parait la meilleur solution actuelle, le choix de la déclinaison du modèle ( one, duo, mini) se faisant selon le type de stockage de la vidéothèque, en local ou sur le réseau. Pour ce qui me concerne le modèle mini se justifiait, d'une part en raison de sa taille réduite, et aussi du fait que le stockage de la vidéothèque sur un NAS s'imposait en raison de sa taille (ne jamais la sous estimer ... surtout en HD). Mes films sont sur un NAS Synology. Il me fallait un lecteur réseau pour regarder mes films. Après pas mal de recherches, j'ai acheté le zappiti. Je ne suis pas déçu. Image superbe sur mon projo. Interface sympa. Stable. Aucun problème de lecture des films. Super heureux de cet achat. Un très bon lecteur qui lit tout ! suis très satisfait de mon achat. Bravo Zappiti. Le dernier Firmware date de 2016. Mise à jour peut fréquente. Ce boitier multimédia est l'un des plus simple et performants du marché a mon goût. Le nombre d'images proposés est important et nous laisse le choix pour la personnalisation du wallmovie! le cinéma à la maison. J'ai découvert le Zappiti il y a peu et c'est devenu mon nouveau joujou techno du moment. Il remplace avantageusement mon ancien Apple Mini pour toute la partie media player. Que du bonheur ! après une mise en main qui manque un peu de souplesse, ce lecteur multimédia est un bon outil des gestion de sa bibliothèque multimédia. quelques améliorations à apporter ! I have bought Zappiti 4K HDR mini and i am very pleased with it. It reads all format files flawless (3d, BR, 4K, 4K HDR, etc..) and have na excelente Picture Quality. Great media player. Ayant eu autrefois la DUNE HD Max, je reviens pour la deuxième fois avec cette nouvelle génération de lecteur multimédia et en suis absolument conquis. Super lecteur avec son design sobre et discret. Au niveau des performances le top du top : lis tout les formats , super qualité d'image et de son. Communique parfaitement avec mon NAS synology . Le Lecteur lit absolument tout les formats video ou audio (meme les piste HD) et les sous titres pgs j'en suis satisfait, de plus l'équipe est disponible si besoin. Très bon lecteur aucun bug, accepte tous les formats, la lecture des vidéos est très fluide. le plus la gestion des jaquettes de films automatique qui fonctionne parfaitement. J'ai installé Spotify sous android le son est très bon. Affiche de films et séries, résumé, lecture de tous les codecs... Ce lecteur fait tout tout seul et très simplement. J'ai cherché longtemps un remplaçant à mon ancien lecteur et je suis conquis par ce Zappiti mini 4K! Si vous chercher un media player, le voici. Il lit vraiment tout jusqu' au h265, même les vieux codecs, aucun soustitres ne lui résiste, et il permet surtout d' avoir les pistes audio numériques, chose rare actuellement. L' utilisation est très simple comparé à kodi par exemple. Ce qui permet à toutes la famille del' utiliser. Concernant la fluidité générale de l' interface, on pourrait faire mieux mais tout est question d' équilibre avec ce qui tourne derrière. La télécommande est parfaite au niveau des touches proposées, mais l' appui sur ces touches est très moyen. Le prix est un peu élevé pour le hardware même si il est à l' aise avec tous les fichiers, mais justifié par rapport à l' expérience et le support. My mini 4K HDR just arrived 2 days ago. had to get used to setting up the zappiti interface and adding my network shares but after a few updates that were prompted automatically my NAS appeared automatically in the list. Interface is intuitive and best of all after 15 minutes I can let my wife use the software, which is a big plus for me. furthermore the IOS App is even more intuitive to scroll through your movie library and start a movie or serie. Fantastic Player. Way ahead of the Shield and Roku's of the world. Picture is excellent. Fantastic player. I have used Roku, Apple TV, Fire TV and Nvidia Shield. The picture quality of this device is beyond all of those. Bought it yesterday on amazon, very fast shipping. 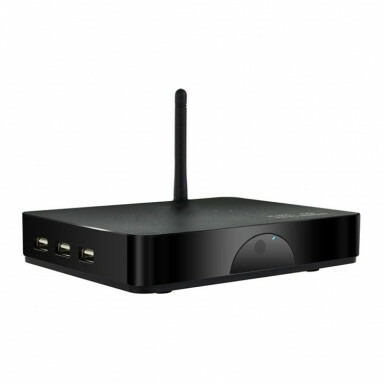 The Box is small and amzing, it play 4k movies with no problem. After many research, I happy with my choice. A very capable client that has all the functions needed by multimedia geeks as well as daily users. Fits easily behind a TV generating no heat or noise at all. Picture quality is superb. Perfekter Player. Nachdem ich mehrere Geräte getestet habe ist dieses Gerät endlich perfekt. Spielt alles, leichte Bedienung, super! Nach längerer Suche dann doch mal den 4k mini HDR ausprobiert, spielt alles ab, einfache Bedienung, perfekt! Super appareil bien pensés, facile à utiliser, de bonne qualité. Il est vrais que la télécommande n’est pas ergonomique mais avec un clavier et pad c’est extra. Je ne regrette pas mon achat. Configuration ultra simple, performances de très haute qualité. Après une journée d'utilisation, je suis tout simplement conquis !!! Venant d'un HTC kodi/madVR, la simplicité du zappiti m'a absolument conquis, sa convenance à changer de taux de rafraîchissement, à envoyer la 3d et maintenant la hdr en direct sans le moindre réglage sous Windows ou Nvidia font de ce petit boîtier le meilleur Media-Center du monde. Un véritable couteau suisse, le zappiti 4k hdr lit tout les formats audio/vidéo récents(uhd bdmv/Iso, atmos, dts,...) en lan ou usb. Je tiens à remercier l'équipe de développeurs français derrière ce petit bijou de technologie et je reste impatient de découvrir toutes les nouveautés qu'ils apporteront au zappiti player 4k hdr. je quitte mon popcorn sans regret . enfin presque , pour mes filles l'idéal serait quand même de pouvoir naviguer avec des favoris comme sur le popcorn .sinon la gestion des jaquettes et super et l'interface depuis l'ordi et la tablette , super aussi !! le lecteur est très petit, mais connecté via LAN au ASUSTOR NAS il fonctionne parfaitement. La meilleure chose est le MEDIACENTER, un logiciel intuitif, facile, très complet dans sa BD de couvertures de film ... enfin j'ai arrangé ma collection d'environ 200 Bluray dans un très facile à utiliser même pour ceux qui ne sont pas en informatique ou HomeMedia. Voila maintenant quelques jours que j'ai mon Zappiti mini et il est TOP. Très facile d'utilisation, je l'ai déjà recommandé à mon entourage ! Top media player! Nice interface, based on android, what I like. Played every file I tried until now.. mkv, MP4, m2ts, which are the most interesting for me. Great picture (HDR..), sound (atmos..), even large file sizes (+60gib).. no problem! Enfin un lecteur au top qui fait ce qu'on lui demande. Je ne l'ai que depuis peu de temps mais zéro déception à ce stade. Le boitier est vraiment petit avec un connectique fournie. TOP ! heureux acquéreur d'un ZAPPITI MINI 4K HDR je ne saurais en dire le moindre mal. complet, techniquement au point, c'est un vrai bonheur pour mon tv android 4k. assistance au top, avec des intervenants compétents. continuez dans cette direction et surtout tenez compte des avis de vos utilisateurs. Aucune box du marché ne lit correctement tous les formats de fichier vidéo. Client de la première vague de mini 4K HDR, j'ai pu apprécier les différentes évolutions du firmware de ma machine. Aujourd'hui les défauts de jeunesse sont pleinement corrigés. L'équipe adapte le développement de la machine à nos demandes. Image de très hautes qualités, sur tv compatible 4K HDR, et je m'en sers également de lecteur audio pour mes FLAC avec un DAC raccordé dessus. Et l'essentiel le logiciel Zappiti qui donne un rendu très propre à ma collection de films. Je le prends à chaque fois, lors de mes déplacements, assez long en Asie. Mais chez moi, il a remplacé l'Oppo 93, rien que cela. L'image est très belle, avec moins de bruit video, mais un peu moins d'immersion, mais cela dépendra du diffuseur. Je n'ai us aucun problème de fluidité, et si pour certaines choses, il peut être en retrait avec les nouveaux modèles, pour son prix et son système de lecture, il n'y a pas de concurrence. Excellente passerelle qui répond en tout point à mes besoin. Excellent produit que je recommande vivement. Beautifully manufactured and with a very well considered operating environment, the Zappiti players are head and shoulders above the rest. Firmware support is great and the user experience is very well thought out. 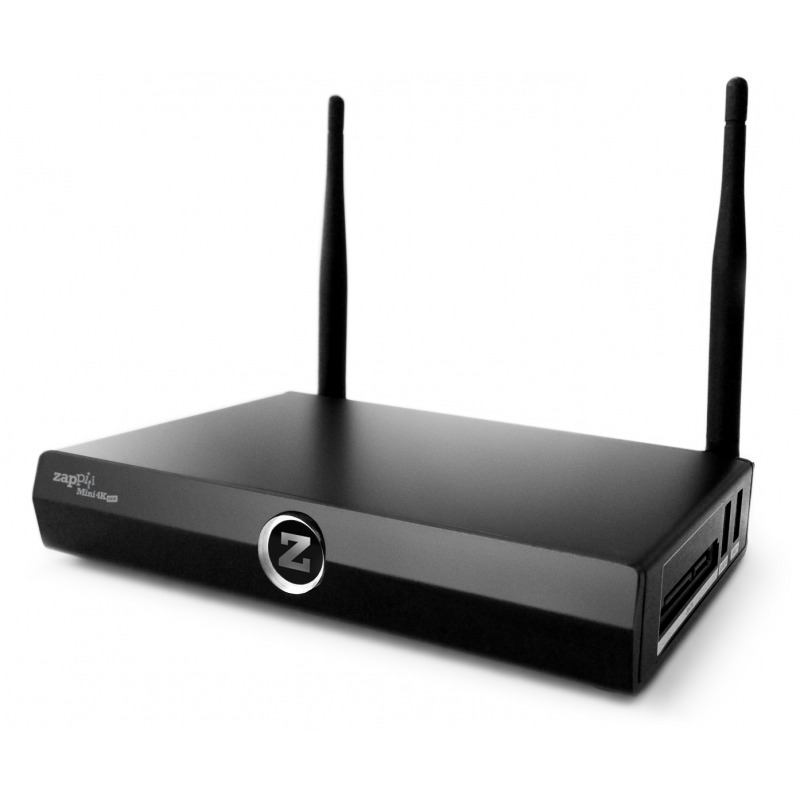 This is a massive step up from all the other Android boxes out there - the Zappiti Devs obviously care a great deal about their product and the end user. Highly recommended for true HDR 4K playback. D'abord le lecteur est beau, ce qui n'est pas obligatoire mais est quand même un plus, l'assemblage et les matériaux sont d'excellente qualité, le boitier est en métal et la connectique est genereuse. Une fois allume, de la petite boite sort une image époustouflante quelque soit le format et la résolution du fichier choisi. Le lecteur ajuste automatiquement le taux de rafraîchissement de ma télé 4k an fonction de l'encodage du fichier source, pas de prise de tète et la lecture est fluide sur tous les fichiers. C'est de loin de meilleur lecteur que j'ai essaye et ma quête s’arrête la. J’étais depuis un certain temps à hésiter, restant sur mon player Zappiti non 4k et ma Dune solo 4K avec l'ancien Zappiti 2.9.16. J'ai pris un Zappiti ONE 4K HDR. Le seul regret est d'avoir attendu.Très belle image,belle colorimétrie. Une télécommande, certes peu design mais complète et très pratique à l'usage. Surtout, j'ai été bluffé par le passage au nouveau media center avec un mur d'image affichant 60 film/ page sur l’écran et la facilité du scraping autrement plus performant .J'ai commandé un Zappiti 4 K mini dans la foulée. Une belle réussite de l’équipe HDLAND. Having the Dune HD Solo 4K already and comparing it with the Zappiti Mini 4K HDR, I could conclude that the image quality is virtually equivalent, but in terms of manufacturing and capabilities, the Zappiti Mini 4K HDR clearly outperforms. It's an excellent Media Player. Μaybe some improvements in graphics and menus could be done but these are secondary minor items and not important. I wanted something to upgrade from my old WD TV that was able to handle all the latest audio and video codecs. The Zappiti delivers that, along with a very user friendly interface. Very reliable, I'm very happy with my purchase. Un concentré de technologie dans un si petit boîtier ! Très content de mon achat. Il fonctionne super bien et lit tous les conteneurs que j ai. HDR sur tv et projo full HD au top. Le système de jaquettes est vraiment bien fait, c est un jeu d enfant. interface simple et claire (mais faut chercher certains trucs, car la notice est light). Je regrette pas du tout l achat du mini 4K HDR. Possesseur depuis peu d'un Zappiti Mini 4K HDR, je dois avouer être étonnamment surpris par sa simplicité d'utilisation mais surtout par la qualité technique de l'ensemble... tant par sa structure logicielle que par la qualité d'image délivrée. Après avoir utiliser un pc pendant plusieurs années sans etre totalement satisfaite, voici enfin un excellent produit francais, facile d'utilisation et avec une qualité d'image et de son parfait. Une qualité vidéo vraiment très bonne, je suis ravi. la partie media center est très bien j’avais peur que cela soit compliqué à mettre en œuvre et bien non le lecteur fait tout tous seul. depuis qqes années, je vivotais avec mon DUNE SMART HD 1 et Zappiti 2.9.16... mais pourquoi avoir attendu si longtemps pour le Mini 4K HDR !!! vraiment mon nouveau "jouet" est TOP ! un grand bravo enthousiaste à l’équipe de développement hardware et logiciel, sincèrement, car quasi un sans faute : confort d'utilisation, de mis en œuvre, de qualité vidéo et un lot de nouveautés très appréciables. I have owned a lot of mediaplayers in the past and this is the best working and most polished product i ever used. 4 k HDR achat confiance ! Etant possesseur d'un Duo 4K et d'un mini 4k et entièrement satisfait de ces lecteurs multimedia. Sa rapidité, sa qualité d'image, son gain de place. Si comme moi vous avez un nas, n'hésite pas. super lecteur multimédia complet aux possibilités infinis. de plus l'assistance est très réactive. venant d'un mede8er 600x3d je suis très satisfait de ce lecteur multimédia la qualité vidéo est top l'interface est belle et réactive tous les formats audio et vidéo sont lus sans problème je le recommande. Christophe et toute son équipe ne manquent pas d'éloges. Ce nouveau boitier est clairement une réussite et une réelle amélioration du précedent Player. Très bon lecteur multimédia , accepte tout les formats audio , vidéo , sous titres , que j'ai essayé . l'interface est très propre , la télécommande est bien pensée . le récepteur Wi-Fi est assez puissant pour passer a travers les portes . boitier très petit de taille , très bien suivant l'endroit où veut le mettre . Un vrai bon produit. C'est tout simplement le meilleur lecteur! Interface très sympa et jolie avec les jaquettes et descriptions des films et séries, lit tout les formats, c'est vraiment un bonheur de l'utiliser. Merci pour tout en espérant avoir un suivi sur long terme. Je le recommande sans soucis! Je cherchais un boîtier multimédia pour remplacer mon popcorn A300. Je suis enchanté par ce zappiti. Le Zappiti 4K HDR lit tout, reconnait tout, et avec une superbe qualité d'image. Je ne regrette pas mon ancien Popcorn Hour. Je recommande chaudement ! I love this tiny little machine. The housing is very solid en fits perfectly between my other gear. The image quality is very good indeed and the sounds as well, espacially Dolby Atmos tracks. Also my music comes through excellent, I hope there will be an update for the interface, so it looks as great as the Zappiti movie interface with all the nice albums + info. Keep up the work Zappiti! An outstanding player. I have just replaced my aging popcorn hour A300 and am very pleased with the performance and picture quality. The player steams fantastically over my home network with no stuttering at all. The media centre scrapped movie covers with high level of accuracy and those it got wrong were easy to refetch. The only downside is the remote seems clunky and it could do with a fully speced remote app. Excellent mediaplayer that works way better than my previous Pocorn Hour player. I can definately recommend it! I have used many players including the Shield 2017 and this beats them all. Plays everything including HD Audio Formats. I am going to buy a second on for my Den. Après une prise en main délicate je profite pleinement de ce petit appareil. Un regret toutefois : l'absence de gestion des fichiers audio. Very happy with this media player. I got the himedia q5pro as well and I can say this one is better in image. The only issue for me is that the 3d mkv. files needs to be pushed the 3d button on the remote control to work. il y a des achats que l'on regrette de ne pas avoir fait plus tôt ! images super fluides, pas de probleme RGB ni de compatibilité DTS hd , ceux qui sont sous kodi/amlogic comprendrons ! J ai le Zappiti mini HDR depuis qqs jours : aucune saccades (j en avais pas mal avec Plex), une qualite au top, le media center super intuitif et tres beau...vraiment rien a critiquer sur ce produit... bravo aux equipes de devellopment. reçu deux jour après commande. Très bien emballé. Très bon produit . Je suis technicien intégrateur depuis de nombreuse année et certifie la qualité de ce produit. Je vais tester dans les jours a venir la compatibilité avec divers contrôleurs comme control4. Voir ses Blu-ray en qualité maximale était devenu trop complexe et la VOD est de bien moindre qualité. Puis j'ai découvert ce lecteur, minuscule mais aux maxi pouvoirs : dépose d'un fichier iso et lecture directe du film, avec une superbe image et un son HD d'origine, au top. Un miracle, j'abandonne la VOD. Encore un Zappiti à mettre à ma collection. Toujours plus fonctionnel et lecture parfaite des HDR. Parfait ! Awesome player, the best out there! This Zappiti mini 4K HDR player is great. The picture and audio quality is simply stunning. It will play any file I ask it too. The Zappiti team are really helpful and are quick to release updates. Buy this player and you will not regret it!! Awesome player, best out there!! This player from Zappiti is a real winner. The picture quality is stunning and the features are great. The Zappiti team are helpful and listen to feedback and are very good at releasing new updates. Buy this player, you won't be sorry you did!! The player Zappiti Mini 4K HDR is very good quality. The unit plays all formats and works very fast. Moreover it has a great video and audio quality. Fantastic product, 100 % recommended. Excellente qualité d'image et que dire de zappiti media center : parfait. Ayant possédé plusieurs lecteurs multimédias par le passé (PopCorn, Mede8er,...), je dois avouer que celui-ci est de loin le meilleur disponible à ce jour. Taille du boitier, qualité de fabrication, interface belle et réactive, qualité d'image (merci le Magix Pixel v2) et son magnifique, décodage exemplaire de tous les formats disponibles à ce jour, auquel s'ajoute un support client toujours à l'écoute et très réactif en cas de besoin, sans parler des mises à jour régulières! Un produit à acheter les yeux fermés! Enfin plutôt grands ouverts! pocesseur d'un mini originel, j'ai décidé de reconduire l'expérience avec ce nouveau lecteur, et que dire a part waouh!! The player is very good quality, the case being made of metal and is very solid. The software is working faultlessly and plays every format that I have tried. It also recognises Mac format hard drives which is very convenient. Excellent product 10/10. j'avais un lecteur dune solo 4k et je suis parfaitement satisfait du système de jacquette. Un excellent lecteur multimédia. Enfin compatible avec les MKV en MVC 3D, c'est juste parfait! L'interface est superbe et très réactive. Un régal. Merci à l'équipe HDLand. Heureux possesseur d'un Zappiti 4K, j'ai opté pour le remplacement par ce nouveau lecteur Mini 4K HDR. Il est vraiment très discret et redoutablement efficace. Image et son au top et il lit vraiment tous les fichiers. Belle amélioration par rapport à mon lecteur précédent. I have tried a number of players over the last years e.g. Shiels and FireTV Box, but this is perfect. 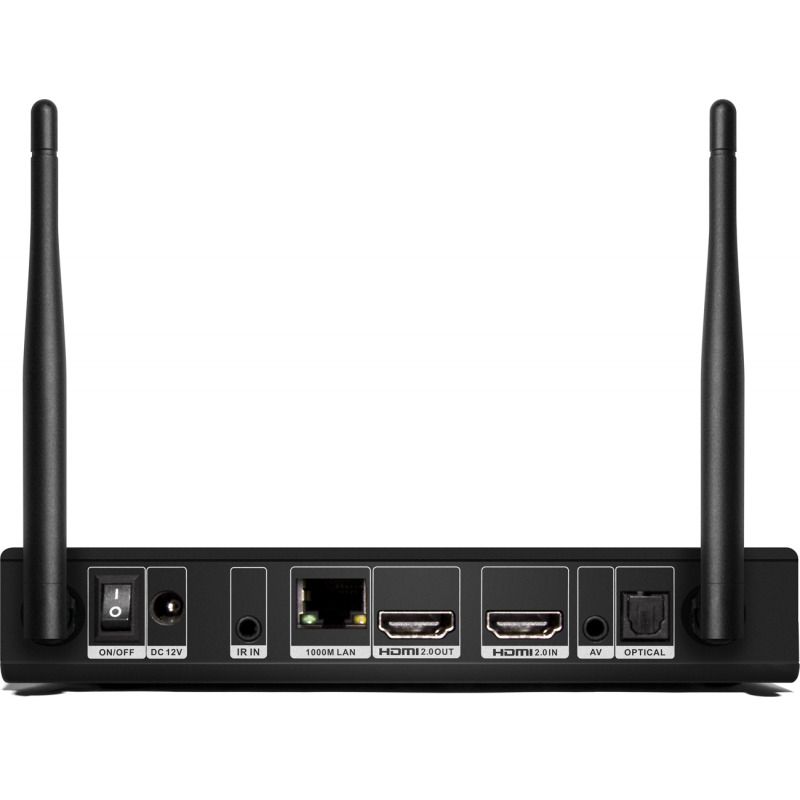 The setup is easy, the usability great and the connectivity very flexible and good to connect all sourecs you will need. The speed is very good and remote control is also very prfessional, but could be a little bit reduced from the number of buttons. Plug and play, taillée pour les bonne soirées ciné, cette passerelle est un véritable bijoux. Que ce soit avec des sources SD ou HD, le rendu est tout simplement fantastique. Enfin un vrai lecteur multimédias ! Acheté il y a quelques jours je suis plus que satisfait. Image et son impeccables. Facile à configurer ; l'interface est vraiment agréable. Je redécouvre mes films. Ah, et la télécommande : au top ! En parallèle j'utilise une Philips Pronto que j'ai pu paramétrer sans soucis grâce aux codes fournis sur le site. Un excellent point. Je recommande ! Je suis très content avec mon Zappiti One. J'ai eu le premier Zappiti player et me voila avec le nouveau 4K HDR, toujours aussi bien ! La qualite video est top et le serveur NAS est un gros plus !